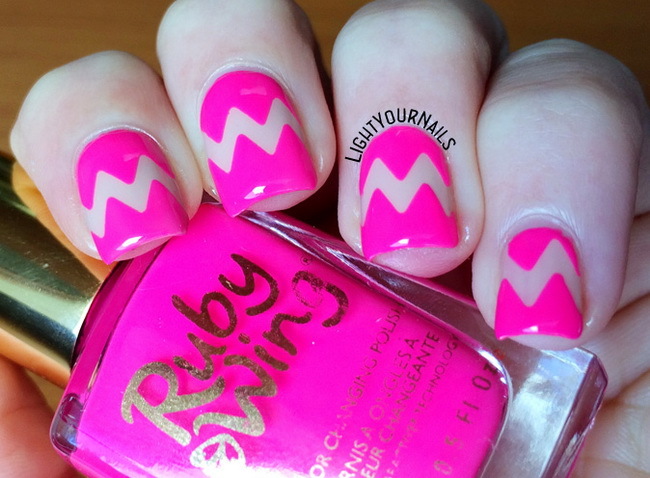 HPB presents: neon and neutral chevrons | Light Your Nails! That's an interesting combo and you did pretty awesome job! I totally love what you have done here! It's 100% perfect mani! Love it! I adore this combination! It looks fantastic! Great manicure! I really like Kitten Heels when you first showed it to us and think it works really well here! Love that you matted it! Grazie! Anche io preferisco col fucsia! This is perfection! I love it so much! Negative space manis are the best! Thank you! I'm so happy with how it turned out! Quite simpe and so darn cute! Love it! That Ruby Wing is awesome. I know I want more for sure. 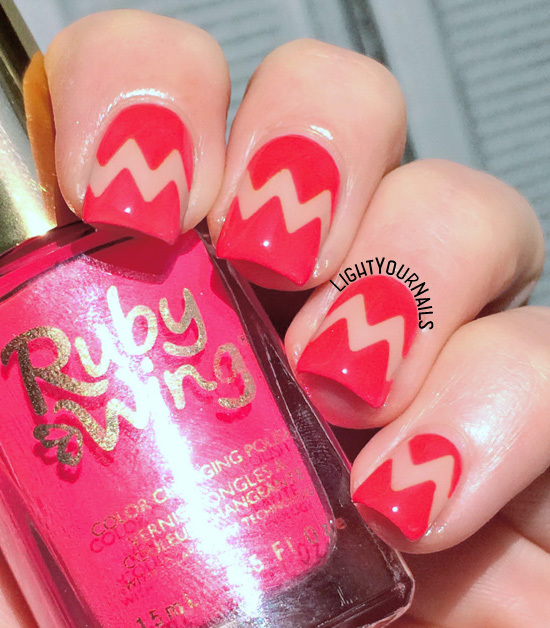 These are perfect as a negative space mani! It's beautiful! And I love the matte version best too, it is just so fun!